Seriously, once you see you are going to run right out, buy a 1M tip, and make one. That or go back to work. Or bed. Or whatever it was you were doing before I interrupted you. There were two main components to this cake. The vertical layer interior and the frosting rose exterior. I am going to do a vertical layer tutorial at a different time, (updated: you can see it HERE) as I did not get any pictures of it this go around and it is IMPOSSIBLE to explain without pictures. What I can tell you is, I did not make a sponge cake that I simple rolled up. I actually made two separate cakes and assembled them into the vertical layer pattern. 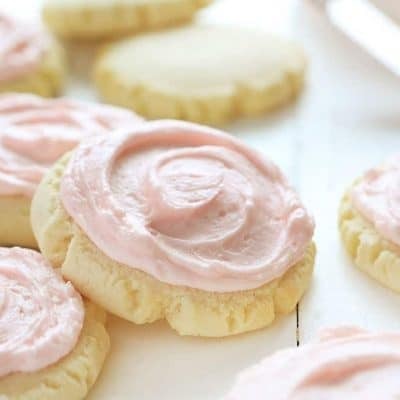 Now for the frosting rose tutorial! I promise you, this could NOT be easier. 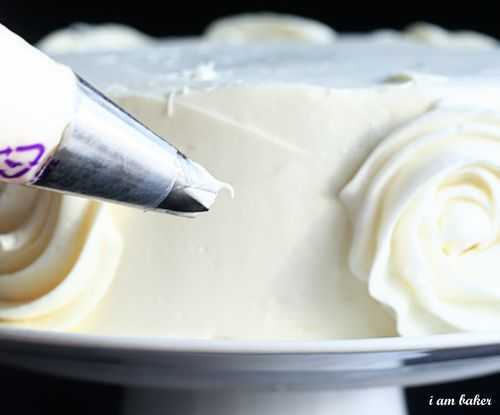 Bakers have been putting frosting roses on cupcakes forever by simply using a 1M decorators tip. That is all I did!! Start with your cake. 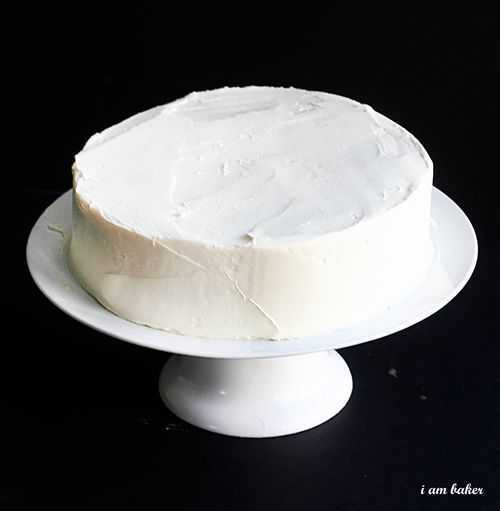 I put a good crumb coat on… as in, a crumb coat that conceals the cake underneath. 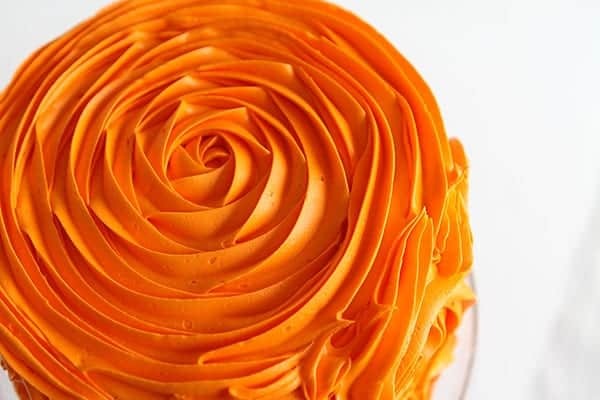 It can be sloppy and uneven, but you should not be able to see what color the cake is. 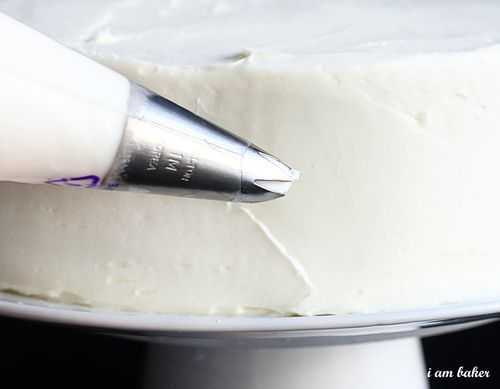 Put your 1M tip (or any large open star tip) into the pastry bag then fill it up with buttercream frosting. If you have an appropriately sized coupler you can use that, or you can just insert the tip into the bag and cut off the excess. To make your rose, start in the center, then slowly move your tip in a circle around the center point. 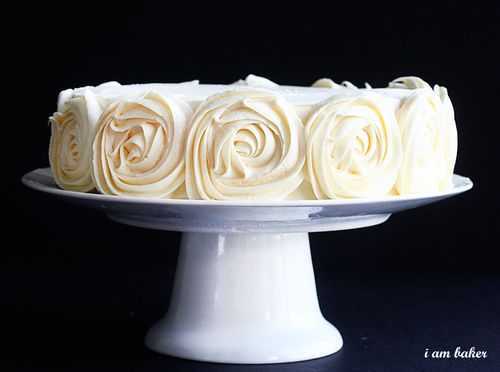 I wanted a single rose to span the side of the cake so I looped around my center point twice. Try to end in the same place each time. 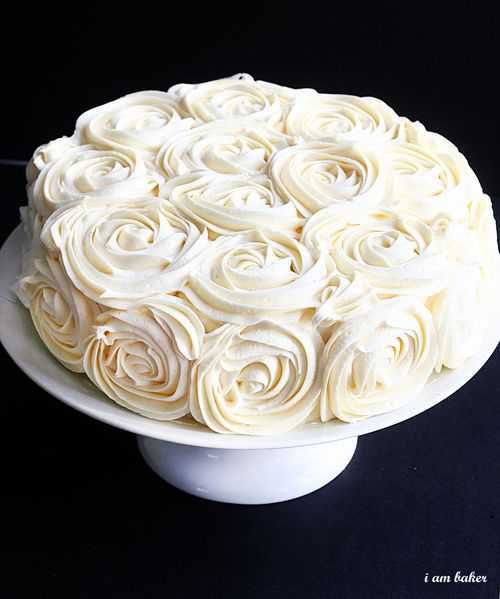 Go all the way around the cake and complete with one last rose! This is how it looks after completing the circumference of the cake. Then go back and add the roses to the top using the same method. When making flowers that big, you are bound to have some ‘dead’ space in there. Can you see that big empty spot up there? My first instinct was to go back in and add dollops of stars… but I think I found a better way! In the overall design it seems to fit in better then the star dollop! You can pick up some of these. 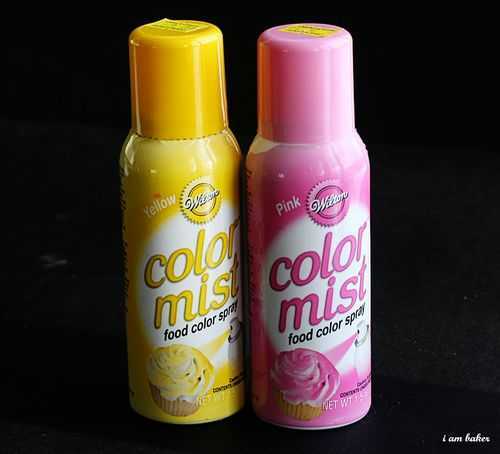 I did a light dusting of yellow then went back over it with the pink. I have to admit, all white is still my favorite, but I love the flexibility of being able to add some color. 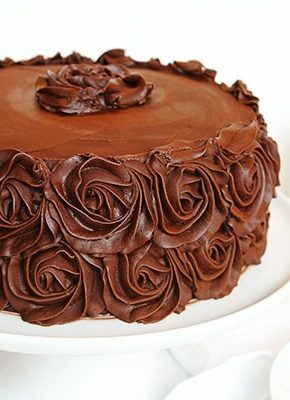 I think a deep red would be stunning on a Valentines Day cake! If you try that, be sure to send pictures! Or just add it to my flickr group! 1. 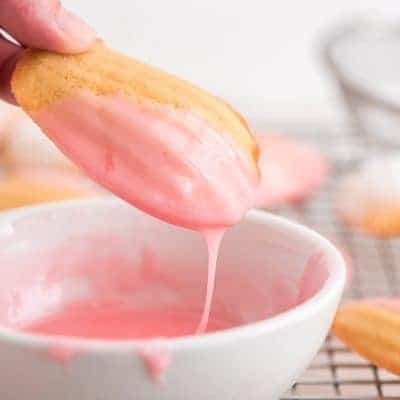 Use a good crusting buttercream recipe. I used my new favorite and loved how it worked. 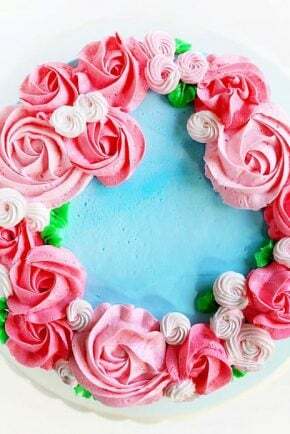 You will want to make sure the frosting is not creamy though… for the tutorial cake I used a creamier version and the roses did not holdtheirshape as well. 2. Make sure you have enough frosting! 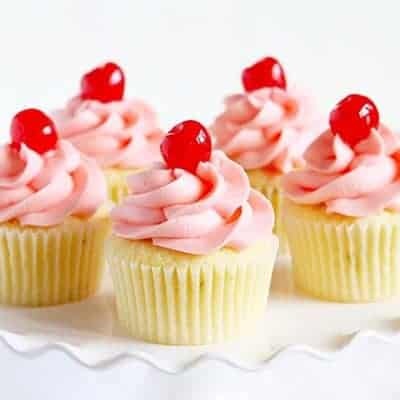 Those roses use a lot… I would make the whole batch of the above recipe. 3. 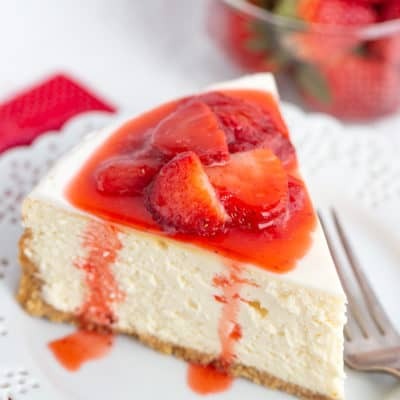 Put your cake in the fridge after you are done with decorating to help them set up and retain their shape. 4. Have FUN with it! Those roses are so forgiving. But if you find that you really dislike how they are turning out, just scrape them off and start over! Cant wait to see what you do! And of course, if you have any questions, feel free to let me know. You can also see Audrey’s Rose Birthday Cake and my Royal Wedding Cake! 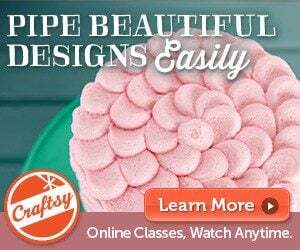 To make this design, simply start in the middle of the cake and create the same pattern as you did on the sides. 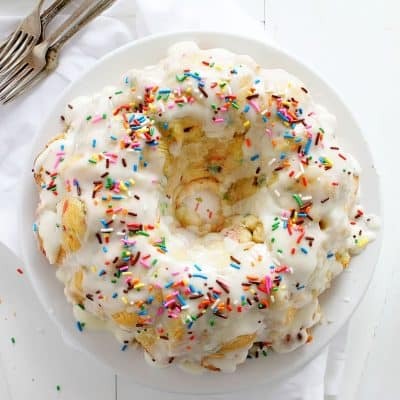 Instead of stopping, keep going around and around until you have covered the whole cake! 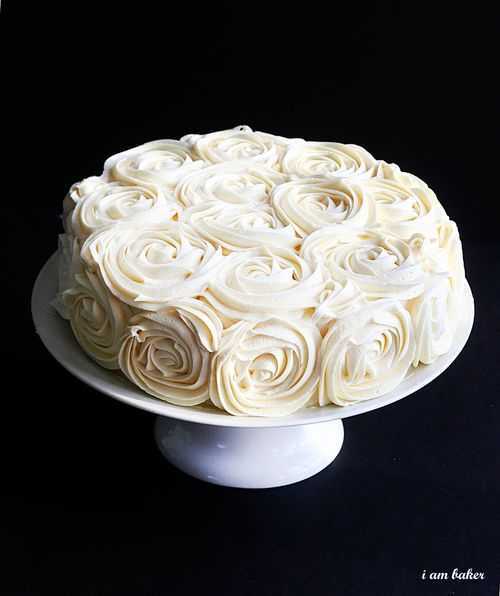 Thank you for much for viewing and commenting the Original Rosette/Rose Cake that I created. Although many have stolen this idea and passed it off as their own, I can assure you that I was the Original. Thanks! Thank you so much for sharing this tutorial! You gave me the confidence to make my first decorated cake . 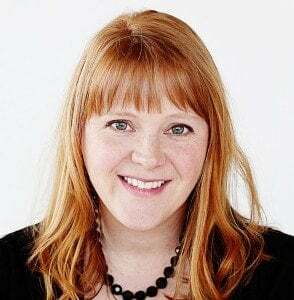 . . which has gone from a growing hobby to a business, along with a website and blog! 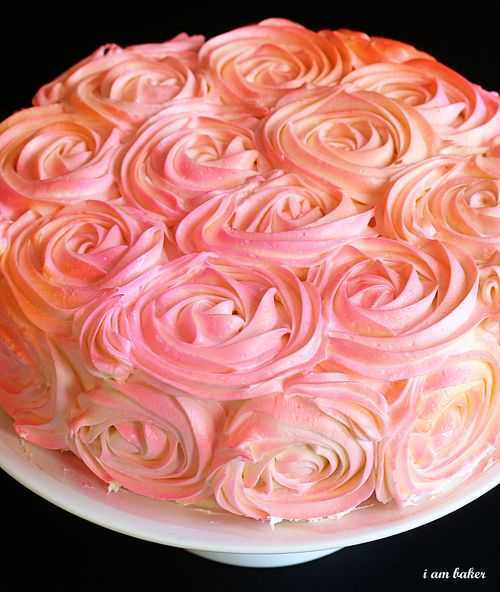 The rose cake was one of the first decorated cakes I ever made, along with the frilly cake. You are such an inspiration to those of us who are just starting out! I used to be a wedding cake decorator and I would have given a lot to do this on a cake. It is so beautiful and you are very creative. Keep up the beauty! Hello! Quick question- when you said “Instead go in and make a swoop with your tip.” what exactly do you mean? Did you just make an extra loop around your rose? Great tutorial-Thanks! So you then are Marie Kason? who invented the 1M in 1985 to create light pressure piping for big decorating impact? Congratulations on having a tip named after you! 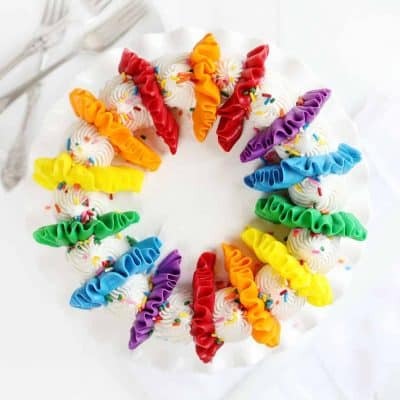 I just read how you invented this tip for the rosettes and shells. 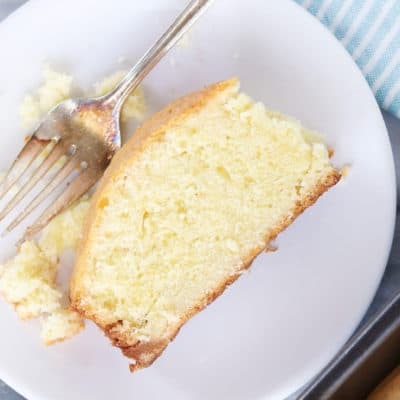 Do you have the recipe for the actual cake? I am hunting for a good cake recipe. I actually did go out and buy the tip to make this cake! My husband and I are celebrating our 13th wedding Anniversary and I will frost our cake this way. I’m using canned chocolate frosting to save time so hopefully it will turn out well. Such a beautiful cake..excited to see how mine turns out tomorrow. Hi. 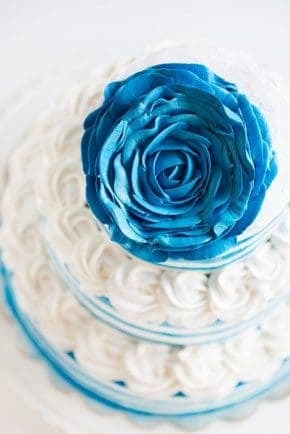 Your rose covered cake is beautiful and amazing. I adore it. 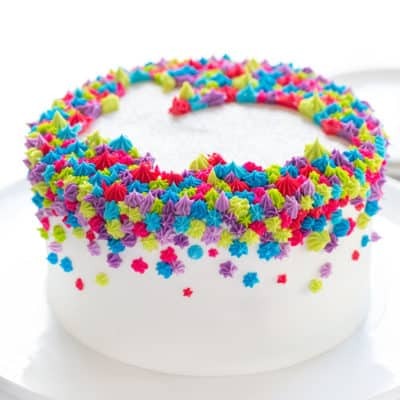 I am looking to make a cake for my daughter’s birthday and I know NOTHING about decorating. 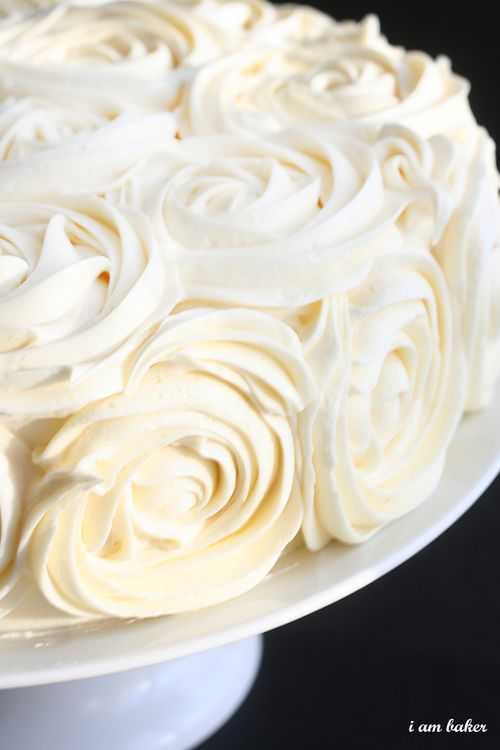 I plan to make a red velvet cake with cream cheese icing. Would the icing be stiff enough to work? Thanks so much for the great ideas! This wasn’t very useful to honest. It needs more detail of how to do it. The step by step and video weren’t helpful? 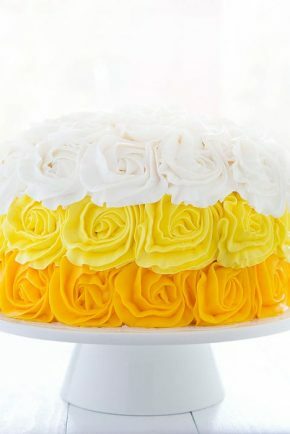 Can you frost a half sheet cake like this with roses or will that look funny? 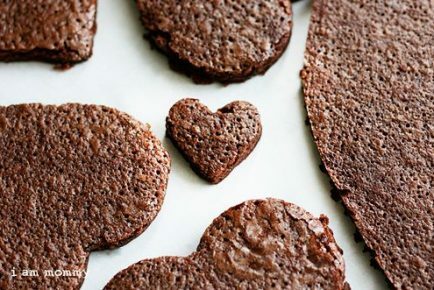 Any tips or advice on half sheets cakes would be great! How far in advance can you make and freeze the sheet cake? Thanks!! Beautiful cakes!! Will these roses look good covered on a half sheet cake or too much? 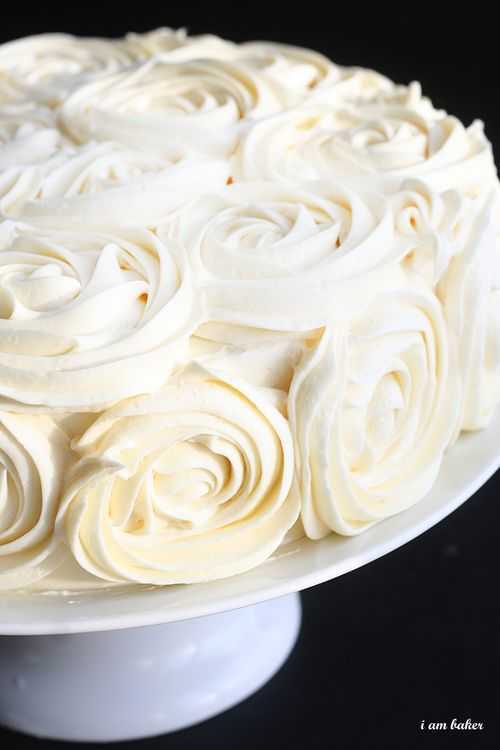 Do you have any recipes for half sheet cakes – white and chocolate? 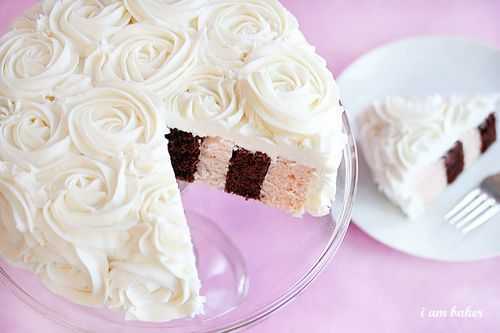 I am looking to do one white cake and 1 chocolate sheet cakes. 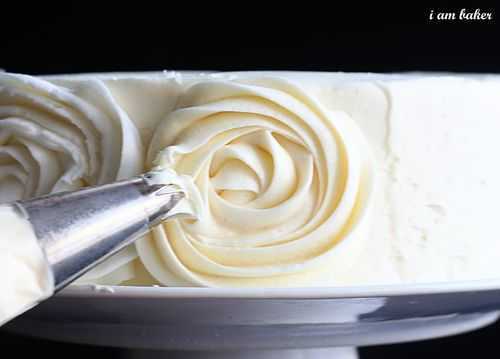 For your crusted buttercream frosting, will that cover a half sheet cake or would I need to make a couple batches? How much ahead can I make the cake and freeze it? Any freezing tips/methods? Thanks!! Love you work.Thanks for the details.Beautiful cakes you made. Oh my goodness! This is beautiful. I so wish I could show you the picture of mine. I totally nailed it (not really!) I used the wrong tip. It’s pretty hilarious! But….very delicious! This…is gorgeous…….One question! What do you mean you went around the center point twice? I tried to draw it in the air but don’t know if I’d execute it well the way I THINK you described. I don’t see anything about a second layer. Isn’t there one? I think a single layer might look to skimpy.